Total has already voiced readiness to sign new contracts with Iran, Rokneddin Javadi said. 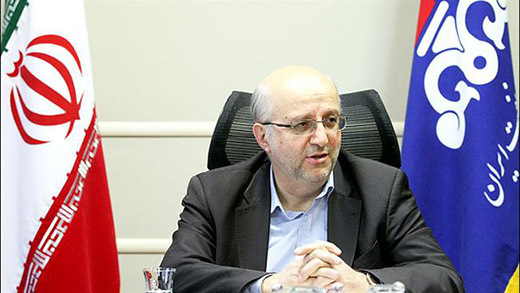 Iran’s deputy oil minister has said Tehran welcomes expansion of energy cooperation with French oil giant Total. “National Iranian Oil Company welcomes expansion of cooperation with Total,” Rokneddin Javadi was quoted as saying. “Total has already voiced readiness to sign new contracts with Iran,” said Javadi after a meeting with Arnaund Breuillac, the president of exploration & production at Total Company. He also pointed to the new contracts prepared by the NIOC and said great cooperation opportunities will open up once the contracts are unveiled. Arnaund Breuillac also held separate meetings with senior officials including Oil Minister Bijan Namdar Zanganeh Sunday. Closer cooperation on exploration, production and marketing crude and LNG as well as petrochemical products was among issues discussed at the meeting. Iran’s oil officials have announced that they will unveil new contracts in early November. “The first phase of the new contracts will be unveiled in November in Tehran and a follow-up conference will be held in one month or two in London,” NIOC chief Rokneddin Javadi has been quoted as saying. Oil Minister Bijan Namdar Zanganeh said in August that new oil development contracts will be unveiled at a conference in London slated for December. “New agreements with foreign companies will be signed within the framework of Iran Petroleum Contract (IPC) which I think will be more attractive,” he said. The IPC will be a modification of the traditional buy-back risk service contracts and have been specifically designed to increase the attractiveness of Iranian oil projects to foreign investors. It offers different stages of exploration, development and production to the contractors as an integrated package. Iran sits on the world’s fourth-biggest oil reserves and seeks to raise its crude output in a bid to regain its market share. The country had the second-biggest output in the Organization of Petroleum Exporting Countries (OPEC) before the US-led sanctions banning the purchase, transport, finance and insuring of its crude began in July 2012. Iran currently exports more than one million barrels of oil per day. It has already unveiled plans to add another million to its export capacity within six months after the removal of sanctions as a result of the nuclear agreement between Iran and P5+1. The removal of the sanctions is expected to take effect in the first half of 2016.